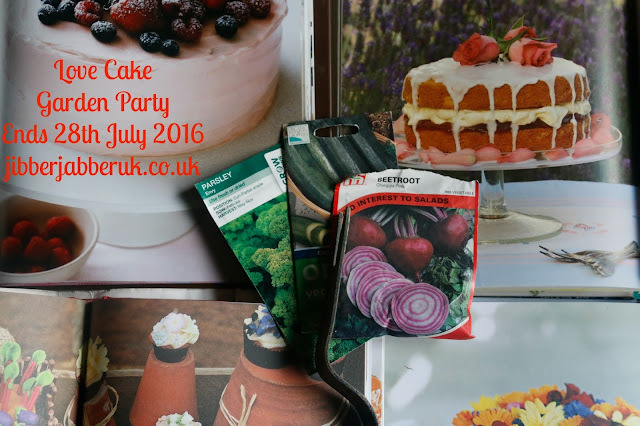 It's been a great month to get outside and draw some inspiration for this month's theme of Garden Party. We've been busy picking fruit and vegetables for our cakes so let's have a look at what everyone has been baking. We start off the month Down Under in Australia with Johanna from Green Gourmet Giraffe. We might be despairing at the state of our political system in the UK but in Australia the recent general election there was huge 38 parties to choose from and a wait of several days before the final result came through. 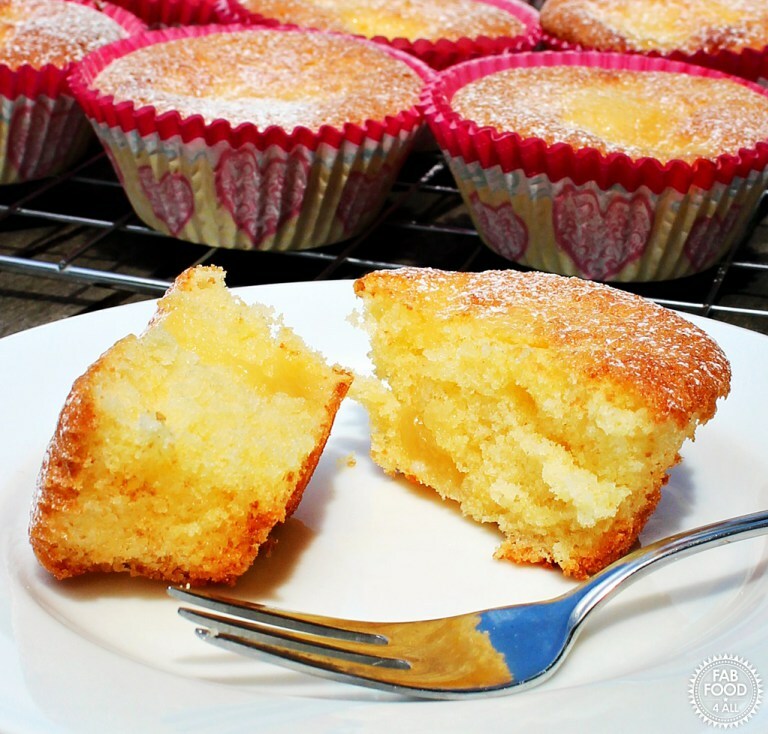 In the meantime Johanna and her daughter have been keeping busy by baking Mini Victoria Sponges and decorating them in different ways. At the start of month we felt as though we were being teased by summer but as the month has gone the sun has definitely decided to make itself known. Waiting for this warmth was Kate from The Gluten Free Alchemist and her Strawberry Mousse Cake. 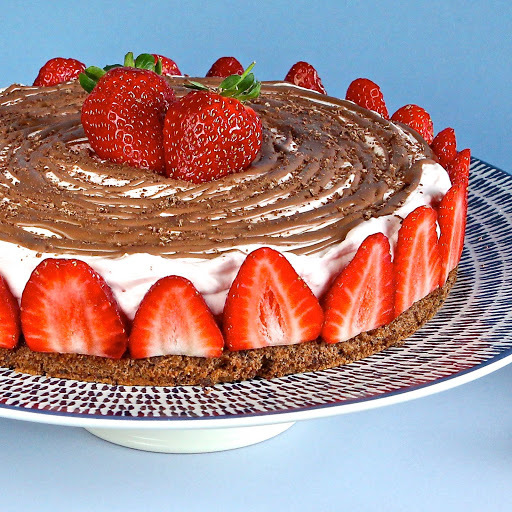 Completely gluten free this has chocolate Genoise sponge base topped with a marscarpone cheese, double cream and fresh strawberries. 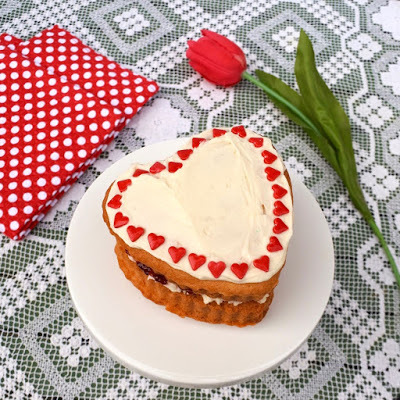 I love going to my local Clandestine Cake Club meetings as you get the chance to make different cakes from what you would normally. 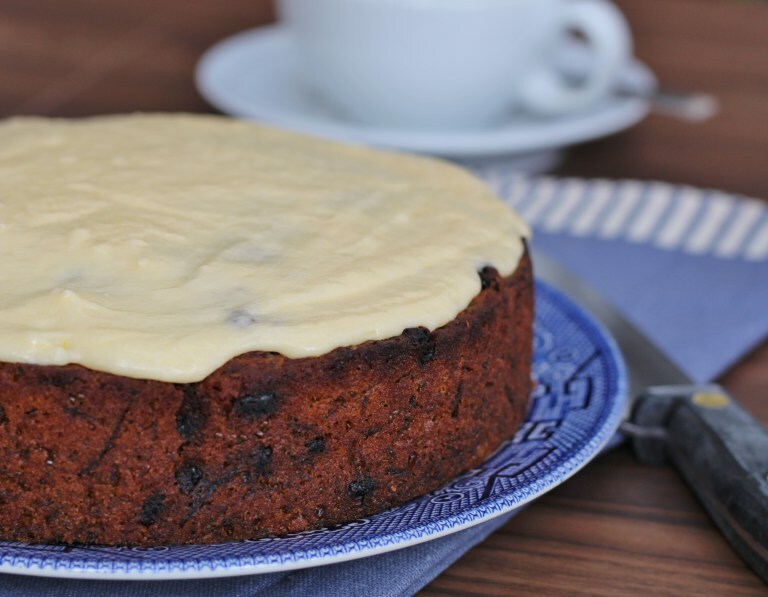 It seems Corina from Searching for Spice is not exception and for the theme of vegan bakes she chose Carrot Cake. With no eggs or butter in the recipe Corina used oil and chia seeds instead for cake anyone would love to try. Camilla of Fab Food 4 All has been out foraging for elderflowers to turn into homemade lemon and elderflower curd. In turn this has been used as the feature flavour in her Lemon and elderflower curd cupcakes. A delicious seasonal bake with a summer zing and added moistness thanks to the addition of the curd. 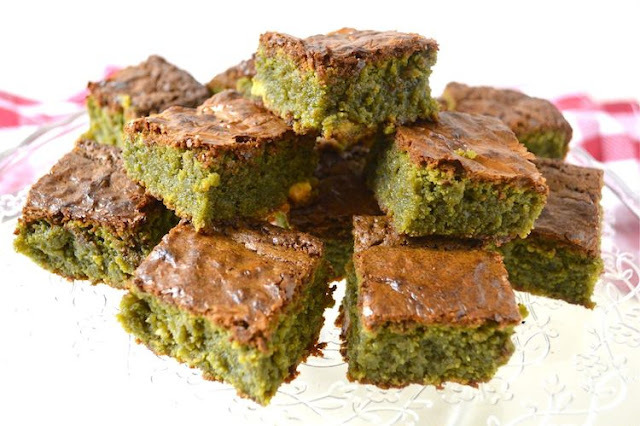 Down in Cornwall Choclette of Tin and Thyme has been making Matcha Blondies. Scrap that - with that colour they must be Greenies! This is a white chocolate brownies given a further twist of both flavour and colour with the addition of green matcha tea. If it's summertime it's time to make sandcastles. If you can't get to the beach then bring the beach to your garden with this Peaches and Cream Summer Sandcastle Cake from Caroline of Caroline Makes.... It's a moist sponge cake with the fruity addition of peaches. 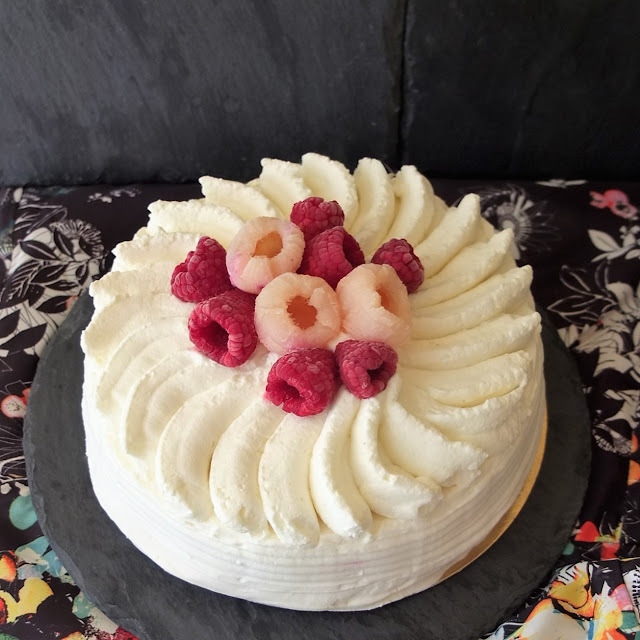 For something very special take a look at Lili's Cakes' Raspberry, lychee and rose frozen sorbet meringue cake – Vacherin glacé Ispahan. This is a multi-layered cake with two types of sorbet, meringue all finished off with buttercream. For this month I turned to my herb garden for inspiration in the form of Chocolate and Garden Mint Cake. A classic combination I've made this a couple of times this month for garden openings and even used some of my chocolate mint plant I bought from RHS Wisley. Lovely round up! I would love to try all these cakes!